Many of us has been there. You hear “Oh, Lucky’s Liquors on 2nd street has a big whisky selection. I was there last week”. Visions of bottles start dancing in your head, and you rub your hands together with glee. You go out of your way to make a trip downtown, you annoy your significant other by talking the whole way about the grocery cart full of treasures you’re about to bring home – “They’re investments, honey!”. Clutching your scrawled wishlist, you saunter into the establishment, trying to look like you come here every week. There it is. The wall of glistening, honey-colored bottles. It’s behind the counter, oh well, you casually ask the cashier if you can see the Lagavulin 16. You clasp the bottle in your hand, feel its heft, turn it around and look at the price tag. What?! What happened? This place has neatly-stacked rows of wine bottles, a full selection of liquors and spirits, and at least fifty bottles of Scotch alone! How can they charge that much for a whisky you’re purchased for $70 in the past? Maybe it’s mis-marked. Facade breaking down, your voice cracking slightly, you hand the Lagavulin back and ask to see the Laphroaig 10 year. $65. You turn white and begin to perspire. It’s like a nightmare. Someone knew you were coming today and maniacally doubled all the prices. You wonder if you should look around for the Candid Camera guy. You leave, empty-handed and dejected. They didn’t even have any miniatures. Honestly, you should count yourself lucky. When this happens to me (it’s happened a lot), I often wonder about the local whisky amateur who reads online about the majesty of a certain bottle, goes down to that place where he saw a lot of whisky “that one time”, and unknowingly hands over a hundred and thirty bucks for a bottle of seventy dollar Scotch. Don’t be that guy (or girl). Here are a few tips to help improve your whisky shopping experience. Just remember – the more money you save by finding good deals, the more whisky you can buy! Don’t just look at the wall of bottles. Look around. Does the store primarily seem to make its money on convenience items (snacks, sodas, groceries, gas)? Does the focus appear to be on cheaper spirits and kegs? Is the location’s rent sustained by a primary business other than alcohol, such as a grocery store or tourist merchandise? You can also tell a lot by the way the whisky is presented. Are the valuable higher-end bottles behind glass? Are the boxes and tins well-arranged and organized, or haphazhardly strewn around? Do there appear to be big gaps in the selection? Are the prices clearly marked, or hidden on little white stickers? Here’s a big one – are the bottles exposed to a lot of light (that would be a bad thing)? A store that doesn’t know how to take care of Scotch probably doesn’t know how to price it. The best tip I can give you is to keep notes on every liquor store you enter. Use an app on your cellphone, a pocket-sized journal, a yellow legal pad, whatever. Estimate the number of bottles on sale. Write down a few key prices. Note any good customer-service interactions you have. Examine the miniature selection. Check for more obscure bottles, like Hazelburn and multiple Springbanks. If you buy anything, write down what you bought, and how much you paid. Most of all, keep these notes together. In six months when you’re trying to remember where you got that great deal on an Aberlour a’bunadh, you’ll thank yourself. Now that you’ve got your notes, you can start comparing your local stores. I’ve noticed that, apart from special markdowns and promotions, most stores have pricing that is consistent across the board. By that I mean that if a store has one overpriced bottle, they probably have generally high prices on all their products. By using certain key bottles that are widely available, you can benchmark each store and start to get a general sense of their relative pricing. Everyone’s retail area is different, so you can really only compare among your local stores. Laphroaig 10 year. Here in California, it should be less than $35 US. Balvenie DoubleWood (12 year). Here, it’s around $40 US. 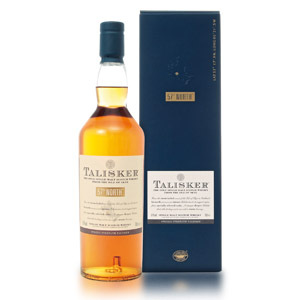 Talisker 10 year. Here, it’s around $55 US. Lagavulin 16 year. If they have it. Here, I’d never pay more than $80 US. Macallan 18 year. A good high-end benchmark. If it’s more than $150 US, walk away. Add your own favorites to the list, and keep it with you when you shop. Remember that the prices in a store can be influenced by a lot of factors – The business rent might be high in that neighborhood. The taxes might be higher in the state or county. The state might set prices for alcohol. The neighborhood might have a more affluent population. You might be able to find good deals by doing a little driving. I’ve noticed that prices in San Francisco, for example, are quite high, even at reputable retailers. By driving outside the city, you can spend 20-30% less. Your area might also not have a knowledgable whisky retailer, and a trip to another town, or across the state line, might be in order. If you find better deals, stock up so you don’t have to make the trip often. While it’s sometimes difficult to research liquor stores online, there are some options. Malt Advocate magazine lists well-known retailers in the back few pages of every issue. Some stores have an online business as well, and list their in-store selection (and prices) on the website. Online retailers can also give you a good price benchmark to compare against – add estimated shipping costs and taxes to your total in order to compare to your notes from tip #2. Ask around: find whisky bloggers or posters on whisky forums who live in your area and ask if they know where the deals are. While your best bet for whisky deals is a high-end retailer with a knowledgable staff and large selection, sometimes deals can be found in surprising places. Check your local Costco (you don’t have to have a membership to buy alcohol – just tell the bouncer at the door that’s what you’re there for), they often have fantastic deals on a small selection of whiskies, which changes often. Trader Joes stores (when they are located in a state that allows them to sell alcohol) often have very good prices on a small selection that is fairly constant. Airport duty-free stores – specifically in international terminals – can have very good prices and often stock exclusive expressions that aren’t available anywhere else. With a little research, a little organization, and a little dedication, you can avoid paying ridiculous prices for good whisky. Remember too that a good whisky shop isn’t just about prices. A knowledgeable, friendly staff is important and can be a valuable resource for information and suggestions. A well-stocked, well-organized, and well-cared-for selection shows they care about their whiskies. Good luck! all very good advice. i particularly like the “it’s an investment” line. i wonder how many of us have used it? how often has the wife responded with “then sell it!”? Winesearcher.com is where I go to look up and compare prices, although it’s a national and international database–(limited) filtering is an option however. I wish there were a site where we could submit and obtain pricing information for specific bottles within the bay area, similar to the many gas station pricing websites. maybe this site could have a special “good prices” section. my local Costco is currently selling Lagavulin 16 for $53. i’m sure there are a few readers who would like to know where that is (signal hill) and it would be nice if we could share this type of info with each other here, especially at stores with changing inventory. Hi Bill, That’s a good idea. Unfortunately, the amount of work necessary to maintain that sort of data is more than I can commit to a project like that. Posted deals would need to have an expiration mechanism, or a way for people to notify the site that the deal has ended. Also, with specific stores having different inventory (and pricing), the amount of updating necessary to make it useful is mind-boggling. 🙂 There are a few sites that approximate this feature in more general ways – like fatwallet.com and similar deals aggregators – but there’s really no scalable way to build something like that for local retail deals. My personal approach to deal-finding is to find a favorite shop – even if it’s a long drive – and keep up-to-date on their pricing. That way, whenever I have a chance to check a Costco or Bevmo for new inventory or good deals, I know which prices are good, and I can always fall back by stocking up at my favorite place if I can’t find better deals elsewhere or online. Good ideas- except in many states, like here in Virginia, you can’t shop around: you’re stuck with state-monopoly ABC stores, with their limited, fixed selection and high prices ($58 for a bottle of Laphroaig 10). I see you used a photo of Beltramo’s. That and K&L are rapidly becoming my go-to stores. Yup, although I frequent K&L a lot more. I prefer K&L’s customer service and special releases, although Beltramo’s has a bigger selection of the “usuals” and very slightly lower prices. Still, they’re both gems. •Balvenie DoubleWood (12 year). $80 around $40 US. There isn’t even any reason behind it. Talisker 10 and Laphroaig 10 are the same price despite being $20 different in California. Then there are others which are almost the same price that you state on here. 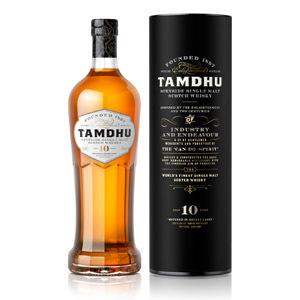 I just got into scotch and I’m trying to decide if I should go for the ones which seem like a better deal relative to American prices or if I should just go for what I think I will like regardless of price. I agree man!! I am just getting into scotch and the prices are at LEAST double what they are in the US. Here is my scotch list at CDN BC Gov’t Liquor store in Nanaimo. So my ability to get a large selection is rather limited. What two bottles cost here, you can almost buy three. Samplers? Forget about it unless you want flavored vodka (yuck). What is really a bummer is that you have to REALLY shop around just to find stuff. Thankfully Ohio has a website to search for liquors: (https://www.comapps.ohio.gov/liqr/liqr_apps/PermitLookup/AgencyBrand.aspx). Just select your county, then under the Brand Name type “Laphroaig” or whatever you’re looking for. Try to be general otherwise you might not get any results. Does not one here like the glenmorangie. Have not seen any mention of it. My personal favourite. What are your favorite stores in California right now? My favorite is K&L Wine Merchants, which has stores in Redwood City, San Francisco, and Hollywood. Second favorite is Total Wine & More, which has stores all over the place, except within an hour drive of me. Of course. BevMo is strictly last resort – they tend to have a good selection, but malts and good bourbons seem to be always at full suggested retail, and rarely get discounted. I live in Lompoc CA. You know of anywhere close by that would have great deals on scotch….besides bevmo! Not really… aside from the Costco in Santa Maria or the Total Wine in Thousand Oaks. You could check little independent liquor stores in the area, too, but they tend to put larger markups on premium spirits than the bigger stores do. Honestly your best bet is probably to make a monthly pilgrimage to the K&L Wines in Hollywood. Cheers!